Firm: Paule, Camazine & Blumenthal P.C. 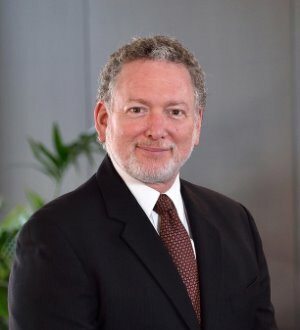 Experience as a trial lawyer since 1976, concentrating in the areas of commercial/business litigation, including construction cases, contract disputes, intellectual property cases, employment discrimination cases, and constitutional law issues. Appeared as co-counsel before the United States Supreme Court. Certified instructor, National Institute forTrial Advocacy, 1981. Since 1995, certified as a neutral by the United States District Court for the Eastern District of Missouri, the Missouri Bar, the Circuit Court of the City and County of St. Louis, the American Arbitration Association. Certified as an International Mediation Institute Certified Mediator (2009). Member Association of Attorney Mediators (1997). Appointed as a neutral for The Missouri Bar Complaint Resolution Program. Concentration is in business, commercial, intellectual property and employment mediations and arbitrations. Served as an advocate in numerous complex arbitrations and mediations. Service as a neutral over 90% of current workload. Developed and taught a course in Arbitration Theory and Practice at Washington University School of Law, 2006–2010. Have served as trainer with American Arbitration Association in arbitration and mediation, and with the Association of Attorney Mediators in mediation. Best Lawyers’ designation: 2012, 2017 St. Louis Arbitration Lawyer of the Year; 2016, 2018 St. Louis Mediation lawyer of the Year.